This is a simple method of how to make light box. A step-by-step method of making a very simple light box, which is light in weight, portable and can be dismantled after use. You will need few plastic fittings, which are used in house hold plumbing. All these material is available at any local hardware shop. White paper for background. We can also use a colored paper, if we want to use a colored background. 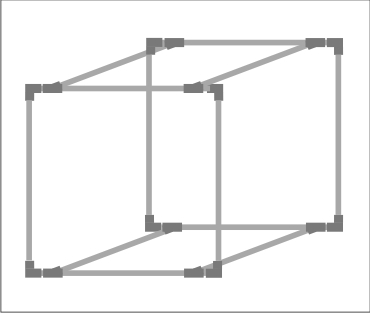 Make two frames using eight "T"s and eight 24" pipes as showed in above diagram. Attach small pipes at the other end of "T" connections. Place it on ground and fix "L" connections on small pipes. 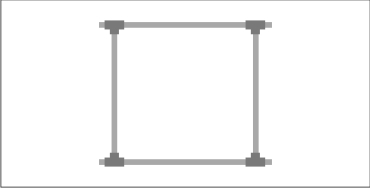 Complete the frame as showed in drawing. 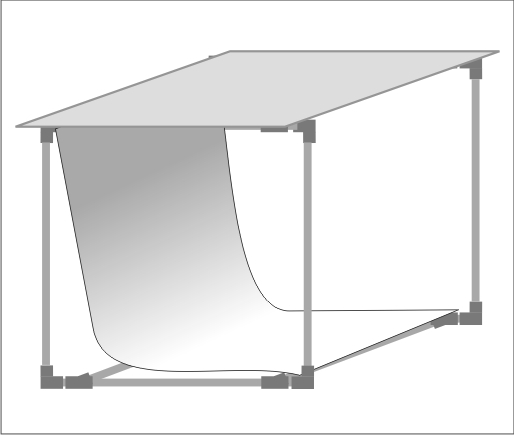 You can either place reflectors on sides or cover it with acrylic sheet to give angled light. This light box can be used in photography of jewelry and other small products, which has polished surface. Should you need a larger size, then you can use longer pipes, but other connectors and fitting procedure remains the same.